Posted on February 16, 2019 March 23, 2019 by Gregg A. In today’s medical world, a lot of people seek to know Who Is Rick Simpson. And what Is RSO all about. The legacy of the man called Rick Simpson. And his cannabis oil (RSO) has fastly spread across the globe in the past few years. 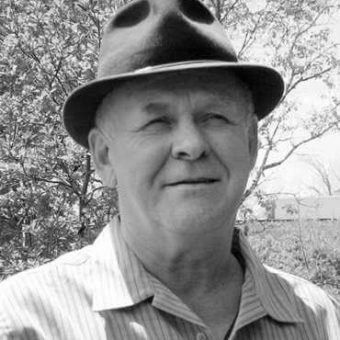 This blog seeks to find out who the heck is Rick Simpson. And the truth behind his innovative RSO extract. A couple of decades ago, specifically in 1997. Rick Simpson was covering asbestos at work using aerosol glue in a poorly ventilated office. Few minutes after starting the work, he began feeling dizzy and unconsciously collapsed from a tall ladder onto the floor. After some hours of being unconscious without anybody to rescues him. He suddenly woke up and slowly dragged himself to the emergency room, where he was given some orthodox medical treatments. After being discharged from the hospital, he returned to his workplace a few days later. Rick Simpson began feeling very ill again; he had a very sharp and loud ringing in his ears. He immediately seeks orthodox medication for his condition, which according to him, just made his situation worse. After all orthodox medication trails, but no positive result. Then Rick Simpson decided to resort to cannabis therapy as an alternative to conventional treatment. Rick Simpson was amazed at how the cannabis plant helped him to achieve a positive experience with his health condition, that has failed to improve with standard medications. Since then, cannabis became the center stage of his life. And he planted marijuana in his entire home garden and farm. After then, Rick Simpson proceeds to grow outdoor cannabis. Which he turned into oil, called Rick Simpson oil for human consumption and treatment of health disorders. He is the pioneer behind Rick Simpson Oil (RSO). His doctors even alluded him, that he should continue using his RSO oil to his benefit. Although they didn’t officially support it, due to the illegal status of cannabis at that time. Not only did Rick Simpson experience swift recovery from RSO. But feel much better after the RSO therapy, then he realized that, many other patients were probably suffering from various health disorders. That could be cured or relieved by his cannabis oil (RSO). Rick Simpson was growing more cannabis plant than he and his family could use. So he decided to begin his donation in the form of offering interested patients free cannabis oil “RSO” therapy, which provided healthy individuals and patient with free RSO. Rick Simpson has reported helping a lot of patients treat and manage various health conditions including. Cancer, AIDS / HIV, depression, multiple sclerosis, diabetes, leukemia, Crohn’s disease, arthritis, osteoporosis, psoriasis, insomnia. And also, glaucoma, asthma, chronic pain, migraines, regulation of body weight, burns, and mutated cells (tumors, warts, polyps). Rick Simpson was later raided and sued for his free cannabis oil “RSO” endeavors. And had to move from Canada to Amsterdam for a couple of years. Also, Rick Simpson discovered in 2002 that, RSO could be used to treat cancer as he was diagnosed to have had rare skin cancer on his face. Then, he decided to rub some cannabis oil “RSO” on a cotton bandage to cover the cancer growths on his face. And luckily for him, the extensions disappeared after five days of tight bandage on this face. He also discovered that his RSO had the potential to improve symptoms of cancer, during his five days’ cancer treatment. However, this should not be taken as evidence for using RSO for curing cancer. Given the severe nature of cancer illness. One should always seek the advice of a trusted physician or doctor and peer-reviewed research over anecdotal reports. First, one needs to obtain cannabis buds or entire cannabis plants. Once the cannabis plants are harvested (and preferably filtered from unwanted elements), they are mixed in a bowl with a high-proof alcohol solution. This allows the resin and other cannabinoids in the plant to detach from the buds. Once this stage has been completed. One needs to strain the mixture through a cheesecloth or coffee filter so that a smooth mixture remains. This process of mixing the plant matter with alcohol and straining it is repeated to extract as many of the cannabinoids as possible. RSO primarily provides a solid dose of cannabinoids. Now it’s time to set up the heating source. It’s important not to use any heating source that generates sparks or flames during the process. Otherwise, the alcohol solution used to strain the cannabis buds can catch fire. Before lighting up the heating source, one needs to point a fan toward the area, or keep a well-ventilated room. This is crucial because when alcohol is heated and evaporates, it doesn’t rise over the heating unit, but drops. When the alcohol fumes touch the heating source, the mixture can explode. Of course, one needs to make sure to perform this RSO extraction process outdoors, far away from anything that can easily catch fire. Once everything is set, the mixed solution needs to be placed on the heating source, before turning it on. The temperature of the alcohol mixture should not rise above 120°C. Otherwise, the cannabinoids will rapidly begin to evaporate from the mixture and the RSO will barely produce any medicinal effects. The basis of heating the mixture is to evaporate the alcohol solution and decarboxylate the cannabis bud, leaving only the desired cannabinoids forming the RSO behind. After the extraction phase has taken place, and the alcohol solution has evaporated, one will be left with a black-thick oil, which is extremely potent. At this stage, you now have what is called RSO, Rick Simpson Oil. It can be stored in large syringes or tincture bottles to ensure proper dosage. This is necessary because the oil is extremely potent and powerful, proper dosage needs to be used for optimal effect. So there you have it, Rick Simpson Oil at its finest. While we can’t advise exactly which health conditions RSO can effectively treat, many anecdotal accounts and pre-clinical trials suggest a wide range of potential applications of RSO. Till date, Rick Simpson is being regarded as an icon for the successful legalization and innovation of the cannabis industry. He didn’t stop his RSO medicinal awareness until cannabis is legalized across our major developed and developing countries in the world. RSO is just a potent cannabis extract that can be easily used and adapted to your specific lifestyle and medicinal needs. 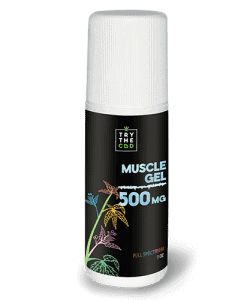 Rick Simpson oil, like CBD oil, has a flexible dosage that can be tailored to each needs. Also keep in mind that, there has not been any generally accepted daily dose, recommended by medical researchers. Dosages vary from person to person depending on a lot of factors, including the RSO potency and mode of administration. RSO is typically not smoke, vape or dab. It can be applied in the following ways: As a topical cream, lotion and balm rubbed onto the surface of the skin. As a sublingual tincture with drops under the tongue; this has the fastest absorption rate as per RSO mode of administration. 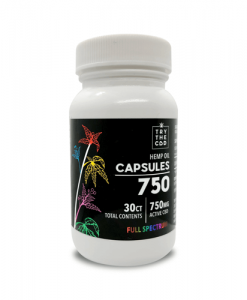 Also, it can be administered as a capsule taken orally, this mode has the slowest reaction time, but the effects of RSO pills or capsule would last longer than, sublingual and topical applications. The difference between RSO and CBD oil; CBD oil primarily contains only CBD, and is sometimes called CBD isolate, often derived from industrial hemp or industrial cannabis plants, while RSO has a mixture of all cannabinoids compound found in the cannabis plant, which can also include high THC volume of up to 20% and other full range of cannabinoids found in the cannabis plant. In 2010, a physician named Ethan Russo found that the medicinal effects of CBD oil will increase when they’re combined with other cannabinoids rather than in isolation. Then, Rick Simpson claims that his oil “RSO” produced two to six percent (30%-60%) CBD, and also, stress the fact that THC compound needs to be present in a high volume of 20-30%. To treat chronic health conditions, such as cancer. In some developing countries, CBD oil is popularly believed to only cure. And provide relief to epileptic patients and RSO oil is more potent for treating cancer patients. Some early researches, including reports from American Cancer Society and the US National Cancer Institute. Has indicated that CBD oil also possesses cancer-inhibiting properties in some types of cancerous tumors. Research is still at the preliminary phase, because of the late legalization of cannabis in many developing countries. So the full effectiveness and possible side effects of cannabinoids to treat or manage cancer cell have not been fully established. Also, do keep in mind that RSO can be highly intoxicating because of the THC ratio in it. In other words, it might get you high while, in no condition will CBD oil get you high. 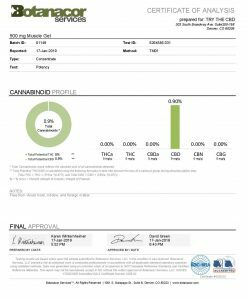 RSO is sometimes considered as a Full Spectrum Cannabis Oil. 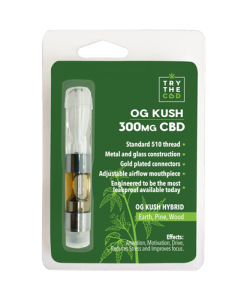 Full Spectrum CBD Oil (FSCO), is a term used for cannabis oil products. That capture the full range of bioactive compounds. That is created within the cannabis plant’s glandular trichrome without altering their chemical composition in the extraction process. The active chemical compounds of the full spectrum CBD oil include. Cannabidiol (CBD), tеtrаhуdrосаnnаbіnоl (THC), flavonoids, phenols, fatty acids. 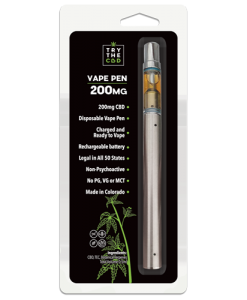 However full spectrum CBD oil still defer from RSO oil, because RSO oil has an extremely high percentage of THC compound present in the oil, which could sometimes evoke the psychoactive feelings when consumed at the high dose. RSO is a remarkable cannabis oil for repairing and stimulating the body immune system. Researchers worldwide are conducting studies to further innovate the work of Rick Simpson. And precisely denotes how RSO functions in the body system, though it is already a universal knowledge. With proof from various human studies and Rick Simpson pre-clinical trials that, RSO can function. As an analgesic, anti-psychotic, anti-tumoral, anti-convulsant, antiemetic, anxiolytic, anti-inflammatory, anti-depressant and antioxidant when consumed orally. Or tropically regularly. If you think this is impressive, there’s more ahead. Recent studies are hinting that RSO may have a hand in boosting neurogenesis by assisting the hippocampus in regenerating neurons. It is enhancing the brain’s neuroplasticity. This could change the lives of millions of people fighting or seeking to avoid neurological ailments like Alzheimer’s or severe psychological disorders like schizophrenia. Most importantly, RSO is currently not fully legalize substance to use in every state. Consult your lawyer before deciding to use this oil. It might also be confusing because the use of full-spectrum cannabis products is still illegal in some states. You might wonder how a substance including THC compound is legally available for use. RSO is currently not fully legalized in the United States. And still subject to various laboratory research and restriction in many other countries. 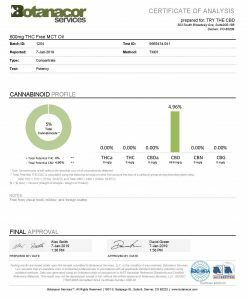 This is because RSO always contains a significant ratio of THC compound. The chemical compound in cannabis responsible for its mental psychoactive effects. Unlike RSO oil, CBD oil has no psychoactive effect. 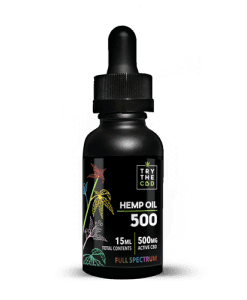 However, full spectrum CBD oil might revolutionize how people view RSO medication and their options for treating chronic conditions that require little presence of THC compound? 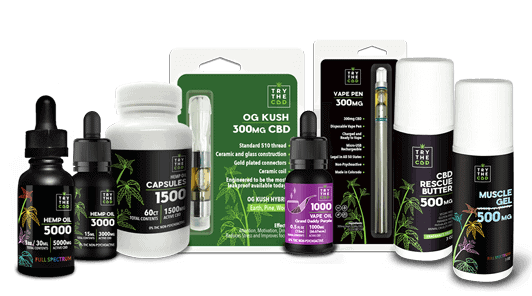 Because of the extensive studies on the full spectrum and isolate CBD oil. It is proving its effect on the nervous and immune systems and conferring neither toxic side effects nor psycho-activity found in RSO. 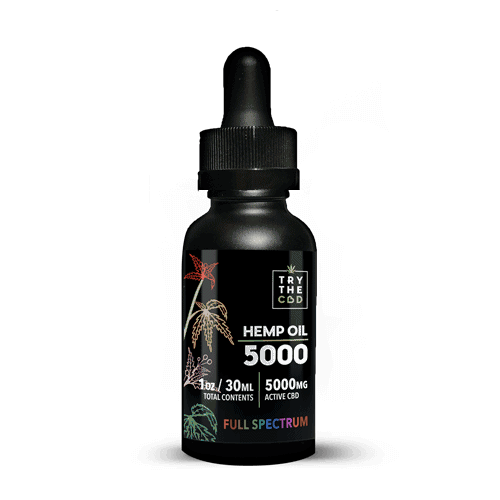 Full spectrum and isolate CBD oil, are now the most researched cannabis oil on the market. 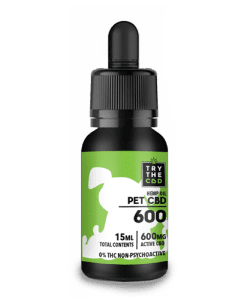 Many important researchers have realized that this CBD product can soothe those in chronic pain, stop spasm and calm anxiety. Among other pharma activities without evoking the funny feelings experienced in RSO. 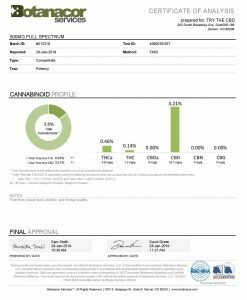 Full spectrum and isolate CBD is now the most talked about topics in the field of medicine and they have the potential to increase cannabis status to the health mainstream sector. Disclaimer: The Federal Food, Drug, and Cosmetic Act require this disclaimer. We collected this information from various sources for the convenience of our customers. The Food and Drug Administration did not evaluate the statements regarding these products. FDA research did not confirm the efficacy of these products yet. These products are not to diagnose, treat, cure, or prevent any disease. The information we present here is not a substitute for information from health care practitioners. It is also not an alternative to information from health care practitioners. Before using any product, you should consult your doctor and ask about the risk of interactions or complications. This entry was posted in Featured Story, In The News and tagged rick simpson, rick simpson oil, rick simpson oil buy, rick simpson oil for sale, simpson oil.